The website of Chinese movie ticketing app Maoyan Weying is seen next to the app on a mobile phone in this illustration picture taken September 4, 2018. 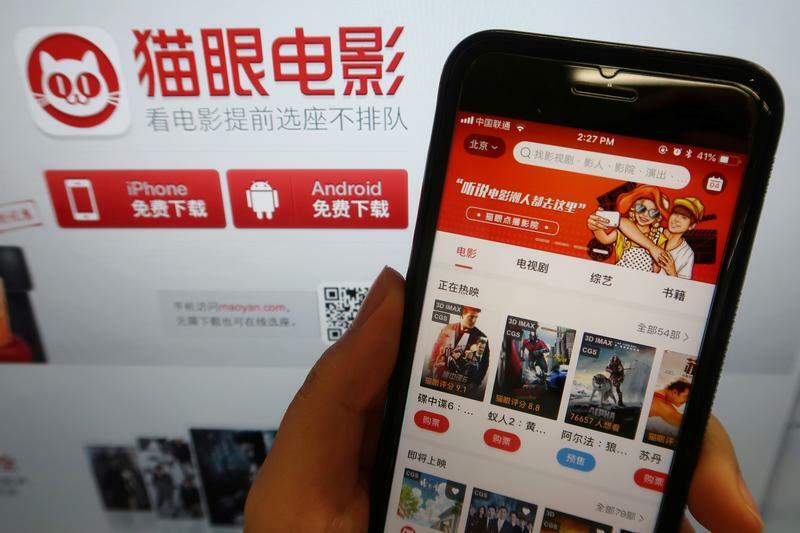 Maoyan Entertainment, which operates China's top movie-ticketing app, is raising up to $345 million in a Hong Kong initial public offering, Reuters reported on Jan. 18. The company is selling about 132 million primary shares, representing 11.6 percent of its enlarged share capital, at a price range of HK$14.80 to HK$20.40 ($1.89 to $2.60) each, according to a term sheet seen by Reuters. Maoyan, which counts gaming group Tencent and food-delivery service Meituan Dianping as shareholders, had been planning to raise up to $1 billion in September, Reuters reported at the time, citing unnamed people familiar with the deal. The listing date also was delayed until Feb. 4, Refinitiv publication IFR reported on Jan. 21. An earlier term sheet indicated the company's shares would start trading on Jan. 31.